Today I'm revealing the first project I did with this month's creative kit from My Creative Scrapbook. Don't be shocked...it's a two-pager! Can you believe it? The left page is a traditional 12x12 layout and the right side is a Project Life page protector. 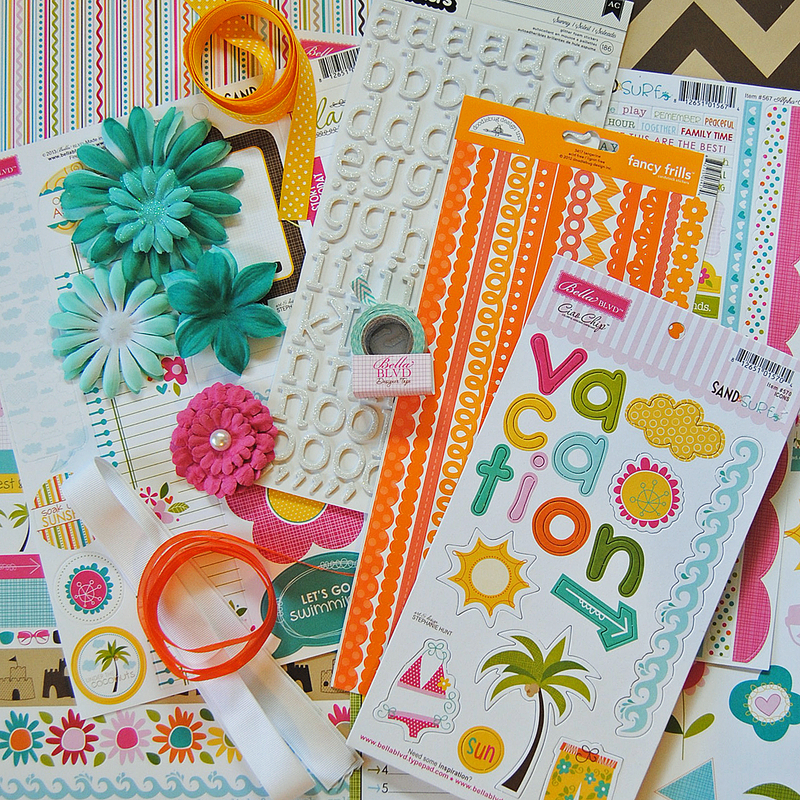 This month's creative kit featured Bella Blvd. 's Sand & Surf collection, perfect for these photos from my sister's Maine vacation. Here's a look at the kit I worked with. 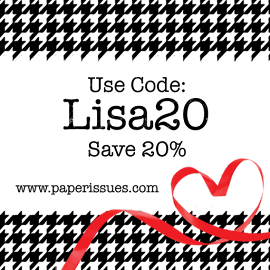 Pam puts together the best kits, along with coordinating embellishments, ribbon and more. 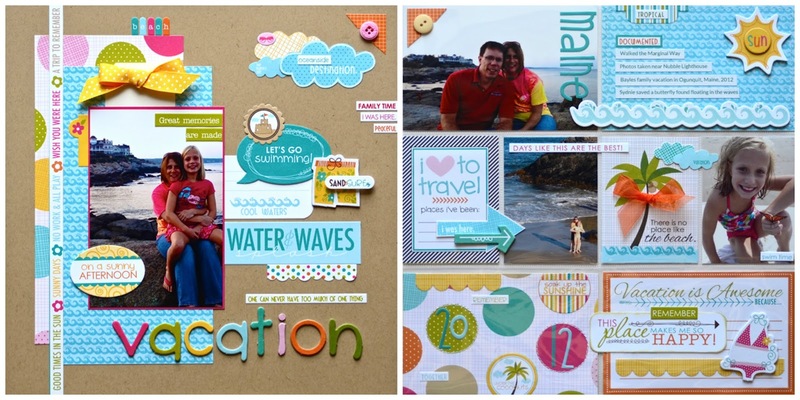 This may be a beach-themed collection, but it can be used for so much more. Stop by tomorrow and I'll show you how I used it on a dance recital page. Terrific, as always, Lisa. I see that good looks run in your family! I love the layout on the kraft. It pops and looks so sunny and happy. Has me itching for vacation! You did a great job with PL. Love that you embellished the outside too! Gives it great dimension. fab pages, looks like a great stash for you to work with! Such a bright colorful kit and set of pages! I have liked the look of the traditional page paired with a divided page for additional photos....now that I might start using 3-ring books I might start doing that. I often have too many photos I want to include and they won't fit on the page:) Thanks for the inspiration! Gorgeous spread...and a perfect way to use the PL format as an addendum to a traditional page! Looking great! Love the colors! 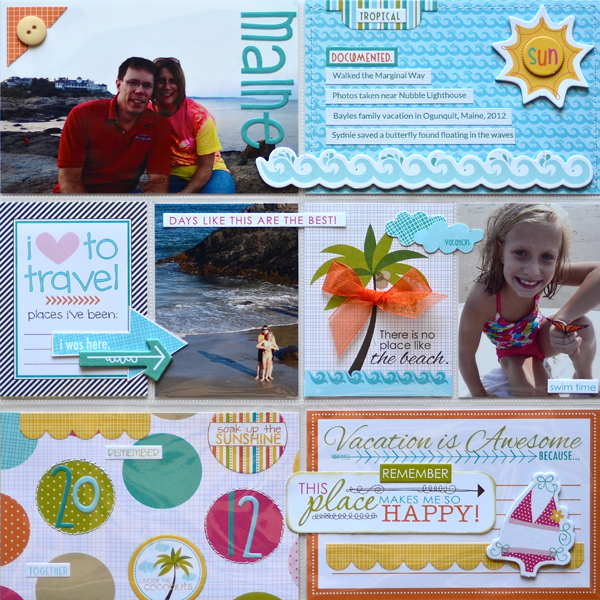 What a nice way to combine the divided page protectors with 12x12 scrapping! Oh so yummy! Beautiful as usual. oooooooo I LOVE IT!!! Awesome 2 pager!!! I may have to give this awhirl. I really like this! Definitely a departure for you, but I like how you get your traditional layout with all the layers and details on the left and then can amplify on the right with additional photos/info. I like the format! Oh my goodness, this is absolutely fantastic. Like everyone else, I was so surprised by a two pager, but I am so impressed! The PL side is so inspiring! I'm trying to incorporate more of the divided page protectors in my work, and your take is one of the best! tfs! 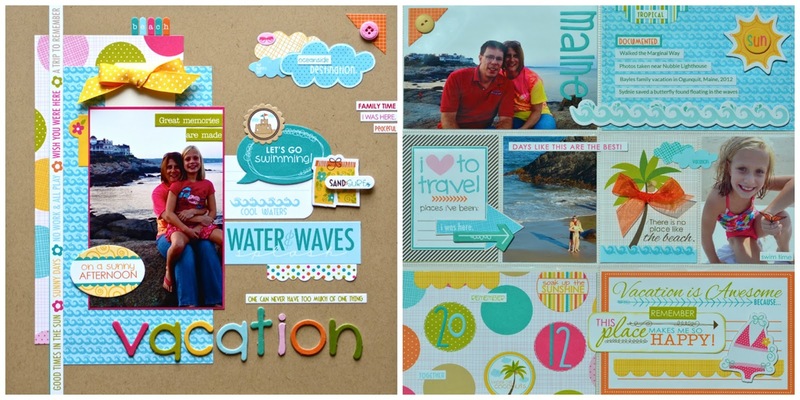 Aren't those great colors for a beach layout! LOVING the two pager too. Cute photo's and design! LOVE that it's a 2 page spread! Great double -I love doing it this way too! This is awesome Lisa!! Love how you did the traditional page and paired it with the PL page protector spread!! Fun use of the Bella collection! Love the colors and the fun embellishments. Really happy projects!